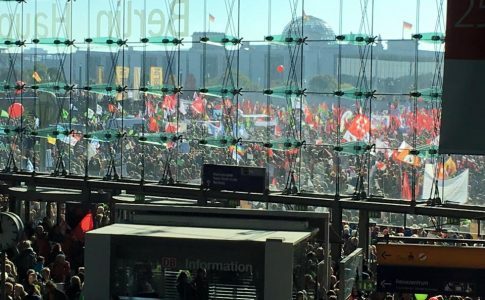 Despite the claims of freedom of speech, Germany’s Federal Ministry of the Interior prohibited the left-wing news platform Indymedia Linksunten. Turkey has put hundreds of journalists in prison in the last year. But is Germany a pillar of press freedom piety? 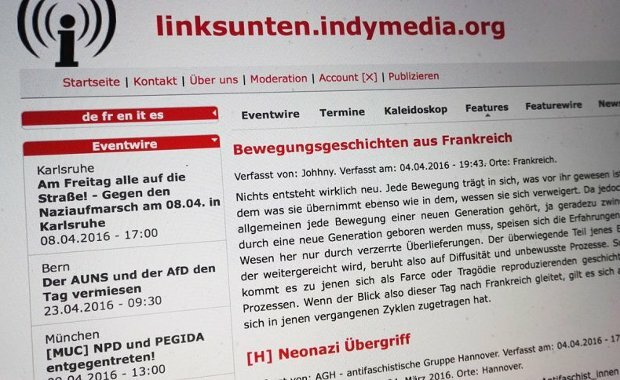 On August 25, Germany’s Federal Ministry of the Interior (BMI) prohibited the left-wing news platform Indymedia Linksunten. 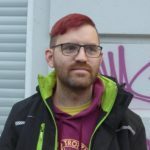 (If you click on the link now, you’ll see…) Police searched the apartments of three supposed Indymedia administrators, as well as the alternative cultural center KTS in Freiburg. 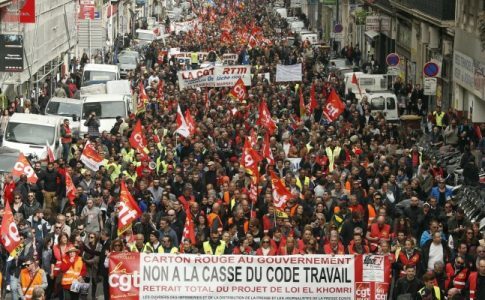 Interior Minister Thomas de Maizère stated in a press release that the ban is a “clear signal against left-wing extremist agitation in the internet”. Critics are calling it an “electoral maneuver”: The CDU government just wants to show potential AfD voters that it can be just as tough against the linkes Pack. The first crazy part of this story: The ban was on the basis of the Vereinsgesetz, Germany’s law on associations. But Indymedia is not a Verein. And even if it were – how can you ban an open platform because of content posted by anonymous users? You might as well ban the Telekom for providing the data cables over which this content is transported. Indymedia started in 1999 around the time of the protests against the World Trade Organization in Seattle. The concept was absolutely new: Anyone could upload reports and photos. Activists could show what happened at the “Battle of Seattle” without having to rely on corporate-controlled media. The site grew into a global network with news from social movements around the world. But De Maizère objects to texts in which police are called “pigs” and “murderers”. I dunno. In German, it’s perfectly legal to call a police officer a Bulle. Why should Schwein be beyond the pale? Pigs are, after all, much more intelligent than bulls. And what should we call police who murder people? It seems very unlikely that Oury Jalloh murdered himself. I think Mörder is the only applicable word in the German language. The second crazy part of this story: Three people in Freiburg had their apartments searched by police. Two of them are professional journalists. 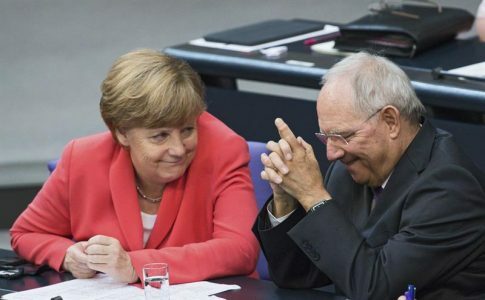 What had Merkel said about no persecution of journalists in Germany? The ministry claimed that they found weapons in the apartments and loads of media repeated that claim. They later had to admit that was “fake news”. The third crazy part of this story: Two of the journalists accused of running Indymedia were accredited to cover the G20 summit in Hamburg. They were among the 32 journalists whose accreditation was cancelled with no explanation at the last minute. And it seems like the German police did this at the request of the Turkish secret service, the MIT – which means that German and Turkish authorities have actually worked together to restrict the work of a free press. Indymedia is a great site and I hope it comes back online soon. The platform publishes lots of research about neo-Nazis – where to find the secret Whatsapp chat protocols from the AfD or customer lists from neo-Nazi online shops. I’ve published dozens, if not hundreds of articles on Indymedia. (I can’t even count now because all the archives are down.) 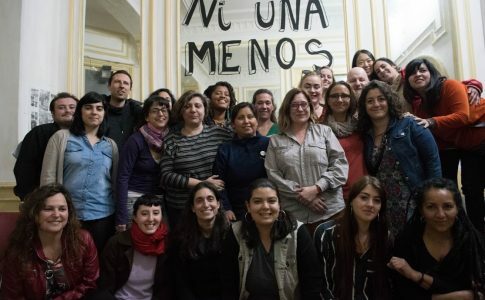 Reporter ohne Grenzen (Journalists without Borders) has issued a clear condemnation: They had to remind the government that “freedom of the press also applies to inconvenient publications”. De Maizère has already implied that I’m a terrorist for using my democratic right to demonstrate against the G20. Now he’s doing the same for using my democratic right to work as a journalist. I wish he would stop. This article was originally published in Exberliner.